Track your activity levels, sleep patterns, and more with the plum Fitbit Alta Activity Tracker in size small. This sleek band uses an array of sensors to keep track of how many steps you take, how far you walk, how many floors you climb, the number of calories you burn, and the time you spend active. It connects to your smartphone via Bluetooth and syncs its data wirelessly while providing you with notifications, workout assistance, and more on its OLED tap display. The Alta is sweatproof, rainproof, and splashproof, and it uses a flexible elastomer band that fits individuals with wrists measuring 5.5 to 6.7" around. Additional bands in various colors, sizes, and materials are available for separate purchase. Its lithium-ion polymer battery lasts up to five days on a single charge, which takes approximately one to two hours. Over the course of your day, your Alta keeps track of how many steps you take, how far you walk, how many floors you climb, the number of calories you burn, and the time you spend active. Fitbit's SmartTrack recognizes select workouts and records them as exercise in the Fitbit smartphone app. View call, text, and calendar alerts from your smartphone on your wrist. The Alta reminds you to move and reach a goal of 250 steps per hour. The Alta automatically detects when you're asleep and begins monitoring your sleep cycle, without requiring you to put it into sleep mode. Silent alarms gently wake you with a vibration on your wrist. Box Dimensions (LxWxH) 8.8 x 4.1 x 1.5"
Alta Activity Tracker (Small, Plum) is rated 3.9 out of 5 by 18. Rated 4 out of 5 by Scott from Nice upgrade from the Flex My wife has had the FitBit One and the Flex. The Alta is a blending of the 2. You get a wearable on your wrist with a screen that has many of the same qualities as the One. If it had a HR monitor, it would definitely be a 5 star device. I'm sure that will be in the next version of it. Rated 4 out of 5 by photo play from good information It has been helpful to see what activities and sleep patterns I have and better yet where to improve them. It is comfortable and look good. Rated 4 out of 5 by E Limoux from I would recommend this fitbit Alta tracker love the functionality. The band, however is very difficult to put on the first time - resists securing - and after a while is only mildly difficult and annoying. Otherwise, I like it and would recommend. Rated 5 out of 5 by CW the basketmaker from fitbit Alta I love everything about it so far. I love that it has interchangeable band, is slimmer, reminds me to move, and is simple to download to my computer. Rated 1 out of 5 by Nancy from Wish I had bought something else Pros: small size Cons:? Snap band requires extraordinary effort to close. I have to use oil to have a prayer of making the prongs insert in the holes and my wrist bruises unless I place a flat metal object behind it.? Way too much trouble!!! -Can't see a thing on the screen if you're outside, even on a cloudy day. No way to adjust the brightness. It is useless as a watch if you spend a lot of time outdoors. -No warning until battery is drained. When it's dead, you must connect to the app to reset the clock and you lose your data.? My Charge would at least give me a warning when there was about 25% left. -Unless you swing your arm, the Alta doesn't track your movements. You did not exercise at all if you were pushing a stroller, grocery cart, or holding onto a dog leash with your tracker hand. The Alta has been totally unsatisfactory for me. It is currently available to ship to an APO. If I order this item from B&amp;H, it comes with a charging cable, right? 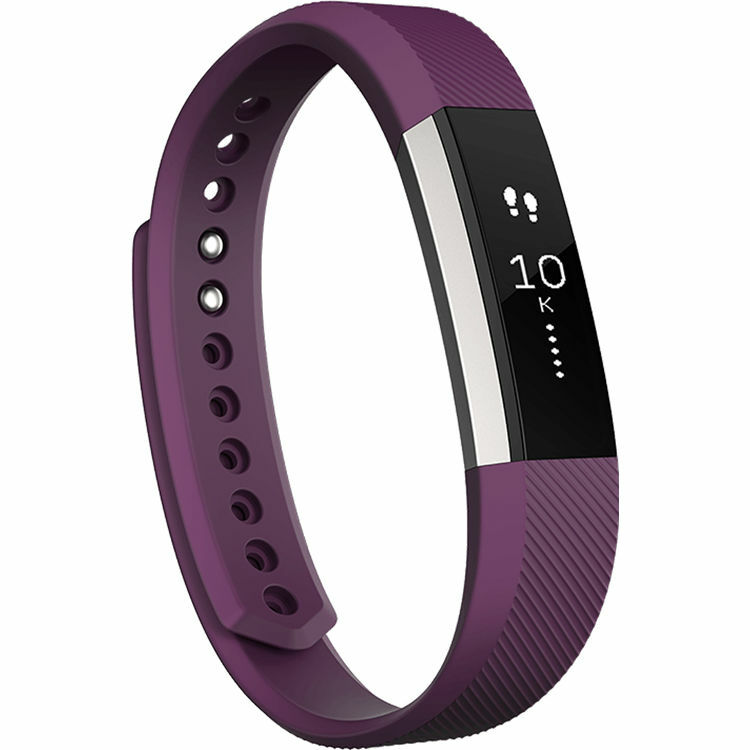 The Alta Fitbit comes from B&amp;H in standard Fitbit packaging and includes the Alta activity band and the charging cable.